American Legion Baseball: Bethel Park played in a round robin tournament in Allentown PA. We did not play well and lost our first two games and went home. 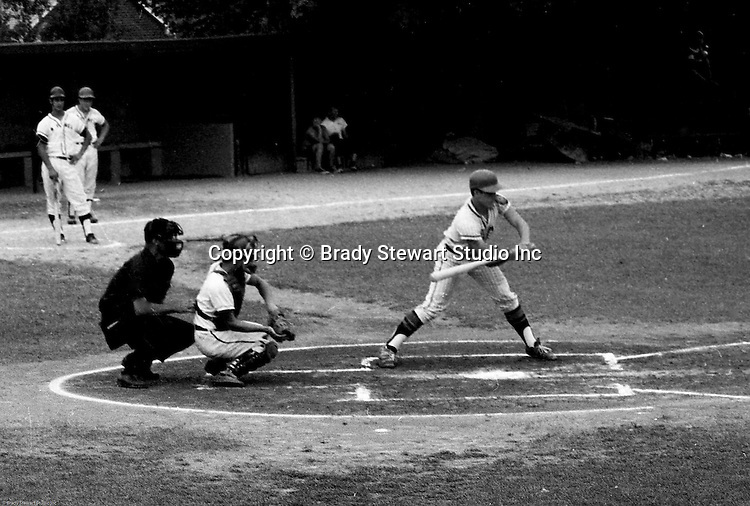 Mike Stewart swinging and hitting during the game - 1970. Craig Balmford and Jack Snyder on deck.